Customer service can be pretty terrible sometimes, but every so often you get service that is just so good it deserves a round of applause. 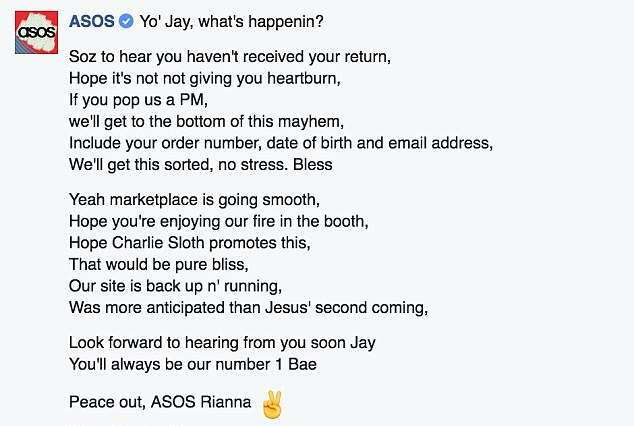 And ASOS’ Rianna certainly deserves to be celebrated. 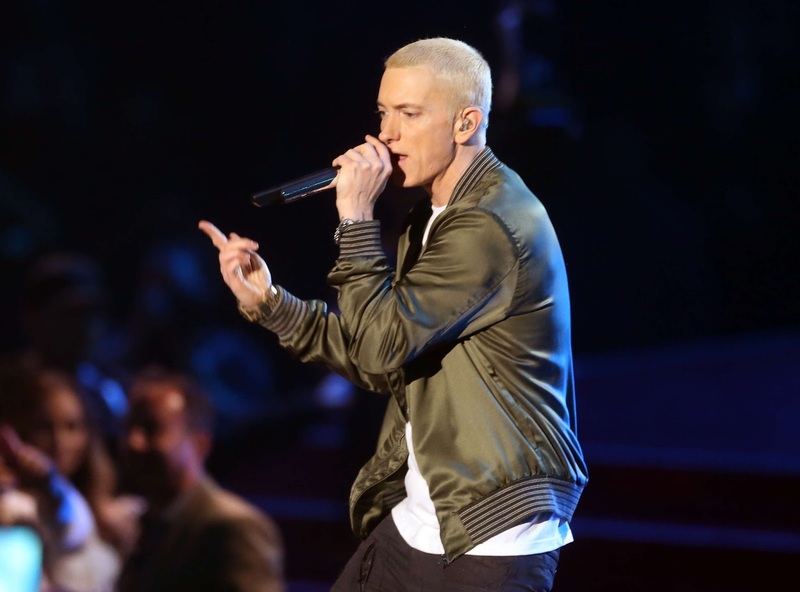 Or maybe even handed a record deal. 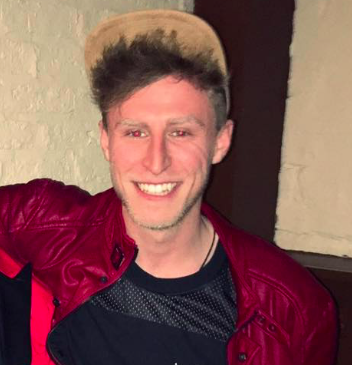 Jay Whalley, a DJ from Preston, wanted to exchange a blazer he’d bought from ASOS, but despite filling out the form and asking for a different size, he hadn’t heard back. 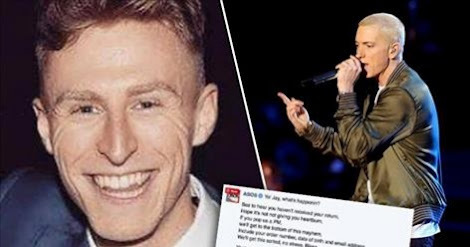 Naturally, he sent ASOS a complaint by way of Eminem lyrics. He changed the words from ‘Stan’ to fit his comments, saying in his post he’d rather be creative than kick off. Yo’ Jay, what’s happenin?’ it began. ‘Soz to hear you haven’t received your return, hope it’s not giving you heartburn, if you pop us a PM, we’ll get to the bottom of this mayhem. Include your order number, date of birth and email address, we’ll get this sorted, no stress. Bless. It would have been better if she used Stan’s reply from the song, but there’s a good chance she couldn’t make it fit. Either way, she did a boss job at replying.